In the fall of 1907, legendary Carlisle coach Glenn "Pop" Warner convinced Thorpe to try out for the football team. Jim excelled as a halfback, punter, and kicker, but in 1909 he withdrew from Carlisle (one of several times he left the institution) and worked on a farm in North Carolina. During the summers of 1910-11 he accepted $60 per month to play baseball for Rocky Mount and Fayetteville of the Eastern Carolina League. Encouraged by Warner — and with an eye toward the 1912 Olympics — Thorpe returned to Carlisle in 1911-12. He was sensational on the gridiron against major collegiate foes, and Walter Camp selected him for the All-America football team in both years. Stripped of his amateur status, Thorpe signed a three-year contract in February 1913 for the staggering sum of $6,000 per season to play baseball for the New York Giants, who beat out five other clubs in signing the "red-skinned marvel. "6 It was the most ever paid to a major-league rookie. The agreement included a $500 signing bonus, and Warner received $2,500 for steering Jim to the Giants. "There can be no denying that he is a great prospect," wrote one observer, "and many critics would not be surprised if, under [John] McGraw's careful tutelage, he developed into another Ty Cobb. "7 At the signing ceremony, however, the Giants manager admitted that he had never seen Thorpe in action; he didn't know what position he played or even whether he hit right- or left-handed (Thorpe was right-handed). In 1914, he had appeared in 30 games for the Giants, batting .194. In 1915, he only got into 17 Giants games, but hit slightly better -- .231. Over his first three seasons, his major-league stats saw him produce only five RBIs in 66 games and 102 plate appearances. Thorpe was back in Milwaukee in 1916. In the press McGraw insisted that although Jim was still raw, he was a fast learner with excellent instincts and would eventually become a star. Privately, however, the Giants manager was beginning to have his doubts. After playing in four mid-April games at the start of the 1917 season, Thorpe was loaned by McGraw to the Cincinnati Reds, then managed by Christy Mathewson. "Jim would take only two strides to my three," said teammate Edd Roush. "I'd run just as hard as I could, and he'd keep up with me just trotting along. "11 Recalled from the Reds on August 1, Thorpe appeared in 26 more games for the Giants and ended the only big-league season in which he appeared in over 100 games with a composite average of .237. In 1918 he appeared in only 58 games all year, batting .248 with 11 RBIs. and the following season he had appeared in just two as of May 21. After Jim complained about his lack of playing time, the Giants traded him to the Boston Braves for washed-up pitcher Pat Ragan. Thorpe hit .327 in 60 games for the Braves, by far his best major-league performance, but 1919 proved to be his last season in the majors. In each of his six seasons in the major leagues, his batting average improved over the prior year. All told, Thorpe appeared in 289 major-league games, with a career batting average of .252. He did not draw that many bases on balls (27); his career on-base percentage was .286. He struck out 122 times in 698 at-bats. Thorpe homered seven times, four of them while on load to the Reds, and drove in 82 runs. He scored 91. As a fielder, his career fielding percentage was .951. He primarily played left field (89 games), right field (72), and center (38), with two games (13 innings total) at first base. 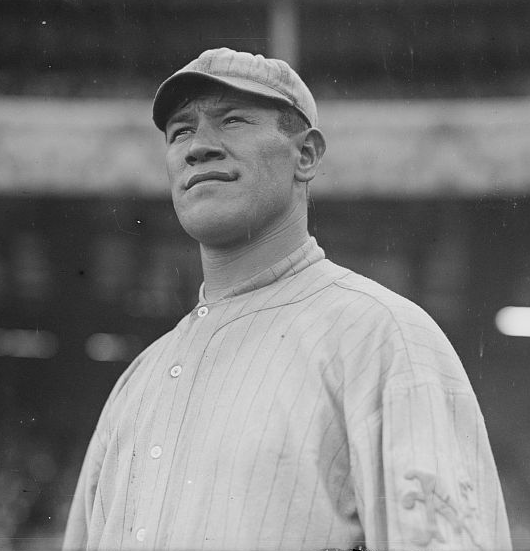 Over the next three years Jim Thorpe played baseball for several minor-league clubs, putting up respectable statistics but focusing most of his energies on professional football, which he had been playing during the offseason since he founded the famous Canton Bulldogs in 1915. Thorpe had trouble adjusting to life after his career in professional sports. In 1928 he was playing semipro baseball at his home reservation in Oklahoma when he unsuccessfully sought a job with Waterbury of the Eastern League. Two years later, he traveled to Southern California as master of ceremonies for C. C. Pyle's cross-country marathon. He settled there, working as a ditch digger on a WPA project and as an extra and bit player in motion pictures. Though past the age of enlistment, Thorpe joined the merchant marine in 1945 and served on an ammunition ship. Between 1931 and 1950, Thorpe appeared in 70 films, a number of which are classics or well-remembered titles. He was a New York theatergoer in the original King Kong (1933); a pirate in Michael Curtiz’s Captain Blood (1935); a “John Doe applicant” in Frank Capra’s Meet John Doe (1941); an Indian in Raoul Walsh’s They Died With Their Boots On (1941); a ship’s passenger in the Bob Hope-Bing Crosby comedy Road to Utopia (1945); a convict in Walsh’s White Heat (1949); and another Indian in John Ford’s Wagon Master (1950). He wore baseball uniforms in Joe E. Brown’s Alibi Ike (1935) and the Buster Keaton short One Run Elmer (1935), and he even appeared as a Carlisle football player in Fighting Youth (1935), a curio involving communist agitators who infiltrate a college campus. Primarily, however, Thorpe played a range of roles in such B-Westerns as Moonlight on the Prairie (1935), Treachery Rides the Range (1936), Cattle Raiders (1938), Frontier Scout (1938), Arizona Frontier (1940), and Beyond the Pecos (1945). Burt Lancaster played Thorpe in the 1951 biopic Jim Thorpe, All-American. The film depicts his being stripped of his medals for playing minor-league ball. Warner Bros., the studio that produced the film, paid Thorpe $15,000 for his services as technical advisor. Additionally, Mort Blumenstock, the studio’s head of publicity, donated $2,500 toward an annuity fund for Thorpe.13 It was around this time that he also tried to develop a nightclub act. However, after Thorpe underwent an operation for lip cancer in November 1951, newspapers reported that he was penniless. In 1953 the Associated Press selected Thorpe as the greatest American athlete of the first half of the 20th century. He is a member of the Pro Football, College Football, and National Track and Field Halls of Fame. After a long campaign led by Thorpe's daughter Grace, the International Olympic Committee reversed its 1912 decision on Thorpe's eligibility in 1983, reissuing his gold medals and adding his name to its list of Olympic champions. An earlier version of this biography appeared in SABR's "Deadball Stars of the National League" (Brassey's Inc., 2004), edited by Tom Simon. It also appeared in "From Spring Training to Screen Test: Baseball Players Turned Actors" (SABR, 2018), edited by Rob Edelman and Bill Nowlin. 1 “Greatest Living Athlete,” Omaha World-Herald, July 28, 1912: 18. Kate Buford attributes the original quotation to the Philadelphia Inquirer in her book Native American Son: The Life and Sporting Legend of Jim Thorpe (New York: Knopf, 2010). 2 Bob Hersom, "Thorpe Remembered for Baseball Prowess," The Oklahoman, June 3, 2006. 3 Joe Guyon, quoted in Dave Anderson, "Jim Thorpe's Medals," New York Times, June 22, 1975: 199. 4 Associated Press, "Great Jim Thorpe Wants Sons to Follow Diamond, Not Gridiron," Hartford Courant, April 6, 1940: 11. 5 Robert W, Wheeler, Jim Thorpe, World's Greatest Athlete (Norman: University of Oklahoma Press, 1981), 145. 6 Des Moines Register, January 9, 1926: 8. 8 Ray Robinson, Matty: An American Hero (New York: Oxford University Press, 1993), 153. 9 William A. Cook, Jim Thorpe: A Biography (Jefferson, North Carolina: McFarland, 2011), 88. 11 Charles Einstein, The Fireside Book of Baseball (New York: Simon & Schuster, 1987), 322. 12 Ring W. Lardner, “In the Wake of the News,” Chicago Tribune, October 14, 1917: A1. The White Sox won the game in the end, 8-5. They won Game Six as well, winning the World Series, four games to two. 13 Kate Buford, Native Son: The Life and Sporting Legend of Jim Thorpe (New York, Alfred A. Knopf, 2010).